31/03/16 -- Soycomplex: Beans closed with small gains, something of an achievement considering the performance of corn. May 16 Soybeans settled at $9.10 3/4, up 1 3/4 cents,; Jul 16 Soybeans settled at $9.17 3/4, up 1 1/2 cents; May 16 Soybean Meal settled at $270.30, down $1.60; May 16 Soybean Oil settled at 34.22, up 43 points. The USDA had 2016 US soybean planting intentions at 82.2 million acres, putting Mar 1 stocks at 1.531 billion bushels, which was around 25 million bu smaller than the average trade guess. Plantings last year were 82.5 million ha. Weekly export sales on beans of 271,500 MT for 2015/16 were down 34 percent from the previous week and 43 percent from the prior 4-week average, and at the lower end of expectations of 250,000 to 400,000 MT. Exports of 464,700 MT were down 18 percent from the previous week and 49 percent from the prior 4-week average. 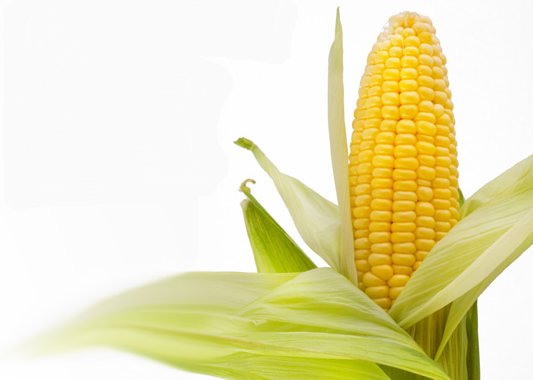 Corn: The corn market closed with steep losses after the USDA said that it expects US farmers to plant 93.6 million acres of corn this spring. That's 5.6 million above year ago levels and 2 million over even the highest trade estimate. Corn stocks as of March 1 were a bit higher than the average trade estimate at 7.81 billion bu and compared to 7.5 billion in 2015. Weekly export sales of 790,600 MT for 2015/16 were down 2 percent from the previous week and 27 percent below the prior 4-week average but in line with what was expected. Exports of 1,136,000 MT were a marketing-year-high but that couldn't stop the rot today. May 16 Corn settled at $3.51 1/2, down 15 1/2 cents; Jul 16 Corn settled at $3.55 3/4, down 15 3/4 cents. The finish on May 16 matched the lowest close for a front month of the year so far. Wheat: The wheat market closed with decent gains, suggesting that there may have been some unwinding of spreads that were short wheat/long corn going on. The USDA said that all wheat planted acres this year would come in at only 49.6 million acres, the smallest figure reported for US wheat plantings since 1970. It was also around a million acres below the lowest trade guess. Winter wheat acres are estimated at 36.2 million, down 8 percent from last year. All wheat stocks as of March 1 took the shine off, coming in at an estimated 1.37 billion bushels, up 20 percent from a year ago and above the average trade guess. Weekly export sales of 317,200 MT for delivery in marketing year 2015/16 were down 14 percent from the previous week, but up 1 percent from the prior 4-week average. They also beat modest trade forecasts of 175,000 to 225,000 MT. Jul 16 CBOT Wheat settled at $4.80 3/4, up 9 1/4 cents; Jul 16 KCBT Wheat settled at $4.87, up 10 cents; Jul 16 MGEX Wheat settled at $5.37 3/4, up 14 1/2 cents. 31/03/16 -- EU grains closed mixed. A stronger sterling had London wheat under pressure relative to Paris grains. News that the UK economy grew 0.6% in Q4 of 2015, topped expectations of 0.5%, was seen as a bit friendly for sterling. The May16/Nov16 London wheat spread closed at GBP13.70/tonne, having begun the month at GBP12.60/tonne - last summer they were running at parity. "Gains for UK Nov'16 wheat futures earlier this week brought the contract within GBP3.50/tonne of the post-planting average as at Tuesday’s close. This is the closest the contract has come to the post-planting average since mid-January. Although prices have dipped away again since, they remain nearer the average than through much of February and March," noted the HGCA's Arthur Marshall. That continues to pose the question "is new crop a sell at these levels even if they are below the cost of production?" Many UK growers' attitude to that would be "I'll only see at below cost when I absolutely have to, not to simply lock in a guaranteed loss." Although they might concede that this is a strategy that hasn't been too successful for them of late. Selling Nov16 London wheat on the last day of 2015 would have got them a sale at more than GBP8/tonne above tonight's close on the Nov16 future. That's not as bad as a GBP13.50/tonne loss that they would have incurred on selling the May 16 instead, but it's still a loss at the end of the day. It also probably now means that they still have BOTH the May 16 and Nov 16 to sell. It is also worth considering that Russian and Ukraine farmers might view the situation differently. Their local currencies are even weaker than the euro for one, making selling at these levels not quite so punitive in rouble of hryvnia terms. They will therefore likely be eager sellers for Nov 16 whether we are or not. Ukraine said today that spring barley plantings there are now 49% complete on 954k ha. French spring barley was 98% sown as of Monday versus 90% done a week previously. Emergence of the latter is 24%, with 6% of the crop tillering. 30/03/15 -- Soycomplex: Beans closed lower, as you mighty expect, consolidating from last night's 7-month closing highs, heading into tomorrow's all important USDA reports on stocks and prospective plantings reports. Those are projected to show March 1 US stocks at 1.557 billion bushels - which would be the largest stocks since 2007. The trade is also expecting an increase in soybean planted acres of 500-700,000 acres based on last year's 82.5 million. Trade estimates for tomorrow's weekly export sales report for beans are in the region of 250,000 to 400,000 MT. 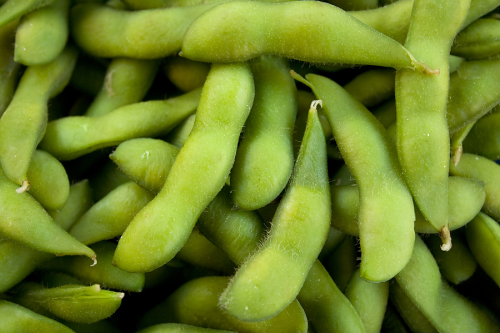 May 16 Soybeans settled at $9.09, down 7 cents; Jul 16 Soybeans settled at $9.16 1/4, down 6 1/2 cents; May 16 Soybean Meal settled at $271.90, down $1.30; May 16 Soybean Oil settled at 33.79, down 26 points. Corn: The corn market closed with losses of around 5-6 cents, giving up yesterday's gains and then some. Tomorrow's USDA report is expected to show US corn stocks as of Mar 1 at 7.798 billion bushels versus last year's 7.750 billion, while planted acres are expected to be around 89-90 million for corn versus last year's 88 million. The weekly ES ethanol report had US production last week at 992,000 barrels per day, down 3,000 from the previous week. Brazil are said to have bought 500,000 MT of Argentine/Paraguayan corn for mostly April shipment. Livestock farmers, especially in the south there, are rumoured to be suffering from high domestic corn prices due to lower full-season production and record exports. Trade estimates for tomorrow's weekly export sales for US corn are 700,000 to 900,000 MT. May 16 Corn settled at $3.67, down 6 cents; Jul 16 Corn settled at $3.71 1/2, down 5 3/4 cents. 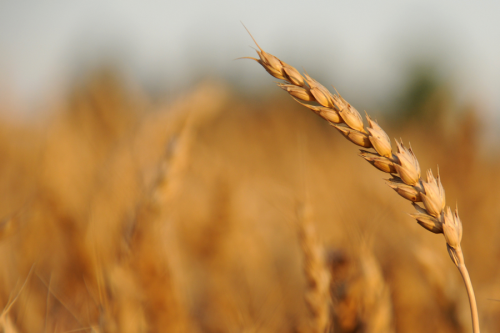 Wheat: The wheat market closed sharply lower. Tomorrow's USDA report is expected to be more about soybean and corn plantings, even if US all wheat sowings are estimated at 51.665 million acres, down sharply from last year’s 54.644 million and the lowest since 1970. US Mar 1 all wheat stocks are being called at 1.354 billion bu, up from the 2015 stocks of 1.140 billion. Trade estimates for tomorrow's weekly export sales are seen at a modest 175,000 to 225,000 MT. After that we are back to trading the weather. An improved weather forecast for the Southern Plains had fund money back in on the sell side today. 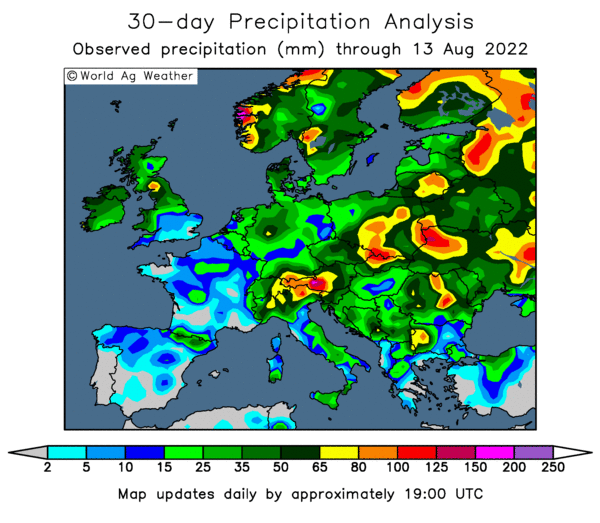 Weather in Canada, Europe and most of the FSU now looks favourable for the time being for wheat. Morocco announced a tender for 360 TMT of soft wheat together with 45 TMT of durum and 8 TMT of corn for Apr/May delivery. Jul 16 CBOT Wheat settled at $4.71 1/2, down 12 1/4 cents; Jul 16 KCBT Wheat settled at $4.77, down 15 3/4 cents; Jul 16 MGEX Wheat settled at $5.23 1/4, down 7 cents. 30/03/16 -- RU grains closed mostly in the red, with only rapeseed managing to resist. For EU wheat it was "Turnaround Tuesday" even though it was Wednesday - still one day behind US markets. 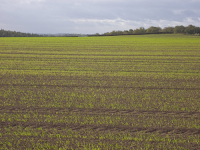 At the finish, front month May 16 London wheat was down GBP1.00tonne at GBP105.00/tonne, May 16 Paris wheat was EUR3.75/tonne easier at EUR155.25/tonne, Jun 16 corn was down EUR2.00/tonne to EUR155.25/tonne and May 16 rapeseed was down EUR1.25/tonne at EUR367.00/tonne. There are areas of concern for winter wheat in the US and Ukraine, but for now at least these aren't sufficiently large to outweigh the production potential of Europe/Russia, especially given the large carryover stocks from last year. Australia: harvesting here is done amd production is good. 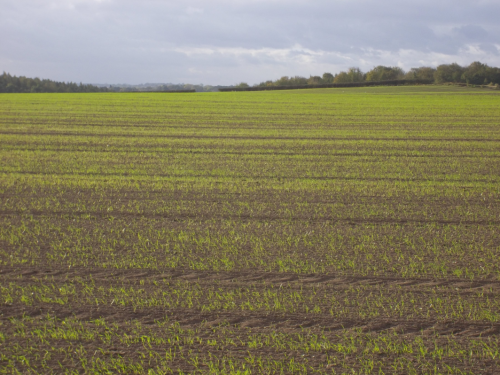 Canada: spring weather favourable for early sowing. South America: Brazilian soybeans past halfway harvested and a record crop expected. Argentina, a bit wet in places, bit that ultimately did't do too much harm last year. The US: early corn planting underway, a bit wet in the south though, but it's still early days. Spec money still shying away from commodities in general. Chinese economic concerns cap upside potential of global markets. The USDA will report on prospective US spring plantings tomorrow. Both corn and soybean acres are expected to increase year-on-year. Morocco announced a tender for 360 TMT of soft wheat together with 45 TMT of durum and 8 TMT of corn for Apr/May delivery. Jordan cancelled an optional origin 100 TMT hard wheat tender and immediately re-issued another for Sep/Oct shipment. 29/03/16 -- Soycomplex: Beans closed higher as May 16 Soybeans settled at $9.16, up 7 cents; Jul 16 Soybeans settled at $9.22 3/4, up 6 3/4 cents; May 16 Soybean Meal settled at $273.20, up $1.10 and May 16 Soybean Oil settled at 34.05, up 42 points. For beans these were the highest closing levels seen on a front month since August. A sharp prop in US dollar values helped as even the Fed turn now more cautious on interest rates. The trade is now watching developments in South America and next week's US planting intentions report. US trade analysts are expecting the 2016 US soybean area to come in a little over 83 million acres versus 82.5 million last year. Corn: The market closed with May 16 Corn at $3.73, up 2 1/2 cents and Jul 16 Corn settling at $3.77 1/4, up 2 1/2 cents. Lower crude was supportive, along with the weaker US dollar. Analyst estimates for this week's reports are for March 1 US corn stocks of 7.798 billion bushels versus last year's 7.750 billion, while planted acres are expected to be around 90 million for corn versus last year's 88 million. Trade guesses on plantings range from 89.0 to 92 million acres. 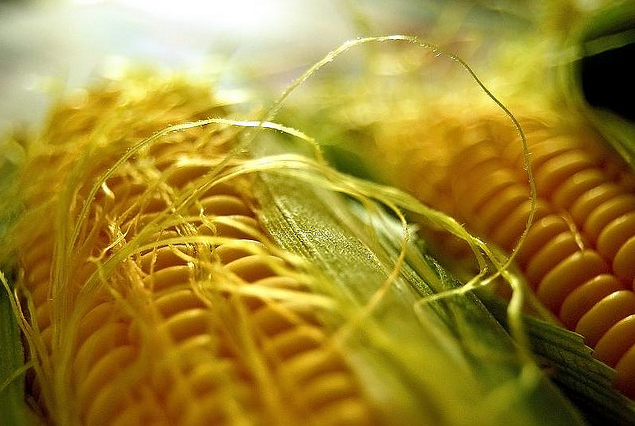 China said that it is going to cease supporting domestic corn prices in the way that has led to them stock-piling high reserves whilst still importing cheaper volumes South American, Ukraine and US origin material. 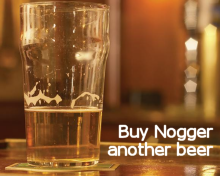 The latter will now have to find new homes. This could also have a negative impact on DDGs, as these are widely viewed as the next to suffer from Beijing interference. Wheat: The wheat market closed around 4-5 cents higher, in line with beans and corn's gains. At the close Jul 16 CBOT Wheat settled at $4.83 3/4, up 5 3/4 cents; Jul 16 KCBT Wheat settled at $4.92 3/4, up 4 3/4 cents; Jul 16 MGEX Wheat settled at $5.30 1/4, up 4 3/4 cents. Wednesday's USDA report is expected to show US all wheat plantings of 51.70 million acres for the 2016/17 marketing year - the smallest area sown since 1970. Brazil are seen importing more US wheat in 2016/17 due to production/quality problems again with their own crop and that in neighbouring Argentina. The unseasonably mild weather that has dominated the Canadian prairies means that wheat plantings there have got off to a timely beginning, lessening the risk for potential freeze damage with early maturity later in the season, say Martell Crop Projections. 29/03/16 -- EU grains closed pretty much higher across the entire board, with even London wheat shrugging off sterling strength with aplomb. At the finish, front month May 16 London wheat was up GBP1.00/tonne at GBP106.00/tonne, May 16 Paris wheat was up EUR2.50/tonne to EUR159.005/tonne, Jun 16 Paris corn was up EUR2.50/tonne to EUR157.25/tonne and May 16 Paris rapeseed rose EUR4.25/tonne to EUR368.25/tonne. Spillover strength from wheat futures in the US across the Easter holiday helped today, although nothing huge has changed fundamentally though. Ukraine said that they'd raced to 42% complete already on early spring grain plantings (excluding things like corn and oilseeds). That's mainly spring barley (42% doe) on 808k ha, although it does also include some spring wheat (70k) and peas (117.5k). By comparison Russian spring grains (mostly wheat) are only 2% complete on 613.4k ha. Exports from the region reached 289.3 TMT for the week through to Easter Sunday (via seaports), up from 210.7 TMT the previous week, and included 109.3 TMT of wheat. IN contrast, Ukraine's seaports shipped out an impressive 574.5 TMT of grains via seaports for the week through to Mar 27. That easily bettered 319.3 TMT the previous week and comprised 146.4 TMT of wheat, 423.5 TMT of corn and 4.6 TNT of barley. The Ukraine Ag Ministry said that the nation had already exported almost 30 MMT of grains so far this season, including 13 MMT of corn, 12.6 MMT of wheat and around 4 MMT of barley. Feb exports alone were a record 3.3 MMT, they said. Iraq tendered for at least 50,000 MT of hard wheat. In other grains, the USDA forecast Ukraine's 2016/17 rapeseed exports to Europe at little more than 1 MMT - down 25% due to a slump in plantings last autumn. That would be the lowest for 9-years, says Agrimoney, although they also point out that the USDA's harvest estimate of 1.47 MMT, whilst down versus last year, is still much higher than the 1.0-1.0 MMT that some other analysts are estimating. 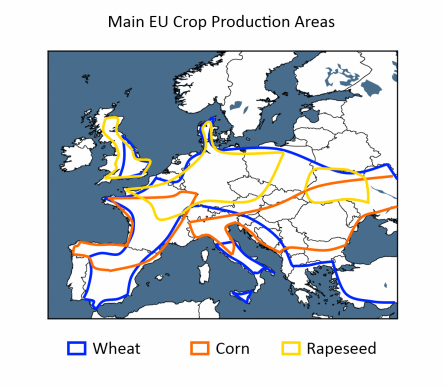 EU importation of rapeseed from Ukraine in 2014/15 was 1.3 MMT. Agrimoney also report on a significant drop in EU high protein barley (10.5%+) continuing this year. Is Nov 16 London Wheat A Sell Or A Giveaway? 24/03/16 -- EU grains closed moistly higher heading into the long weekend Easter break. At the close of trading, new front month May 16 London wheat was up GBP0.25/tonne at GBP105.00/tonne. In Paris, May 16 wheat closed up EUR1.50/tonne at EUR156.50/tonne, Jun 16 corn was up EUR1.75/tonne at EUR155.75/tonne and May 16 rapeseed rose EUR0.50/tonne to EUR364.00/tonne. As you might expect trade was thin. The week ends with the May/Nov 16 London wheat premium now at GBP13.75/tonne. In their first report of 2016, Rabobank said that it expects Chicago wheat prices at around $4.75/bu in Q1 of 2017. That's around $20, or 4%, below the level that's on offer for the Dec 16 future tonight. "Heavy inventories, ongoing aggressive export competition, plus a projection for continued building of US 2016-17 stocks should cap rallies," they note. Paris wheat futures meanwhile currently appeared "very good value" compared with Chicago prices. Paris wheat is currently offering a 8.6% premium basis Dec 16 versus the nearby May 16 contract. Although they didn't comment on London wheat specifically, that would suggest that the 13.1% extra offered here for the new crop Nov 16 represents something even better than "very good value". FranceAgriMer left French wheat crop conditions unchanged on a week ago at 92% good to very good (90% a year ago). 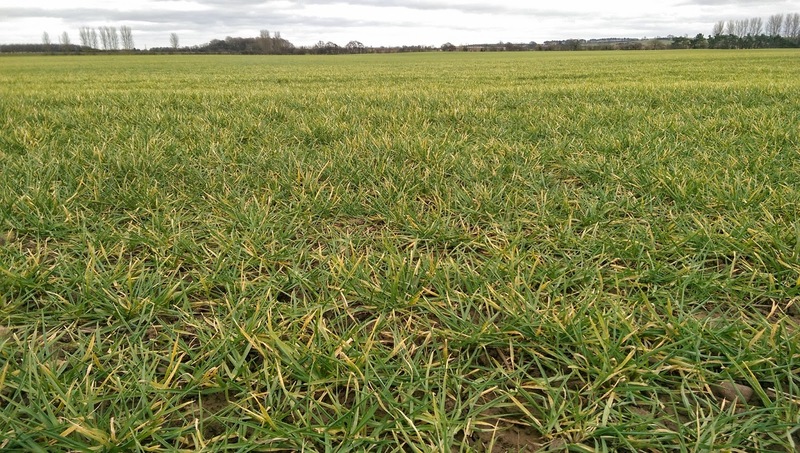 Winter barley conditions were also unaltered at 93%, three points up compared with 12 months ago. 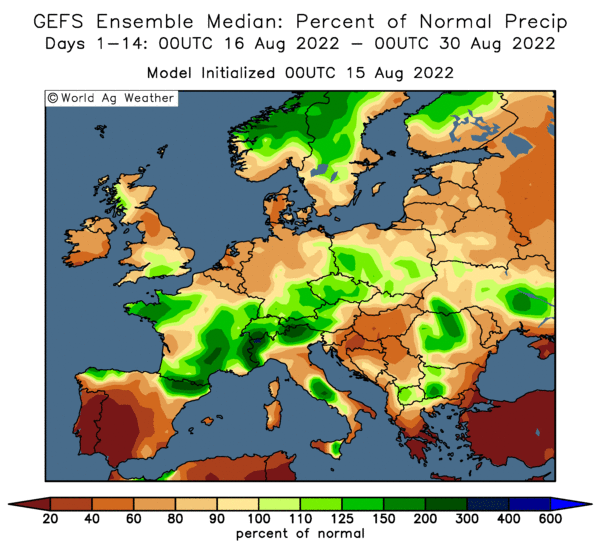 They said that 65% of the French winter wheat crop is now displaying an ear of at least 1cm versus 47% a week ago and 40% this time in 2015. 23/03/16 -- EU grains closed mixed, but mostly a touch higher. At the finish, front month Mar 16 London wheat was up GBP0.20tonne at GBP104.75/tonne, May 16 Paris wheat was EUR0.75/tonne easier at EUR155.00/tonne, Jun 16 corn was up EUR0.25/tonne to EUR154.00/tonne and May 16 rapeseed was down EUR2.50/tonne at EUR362.75/tonne. 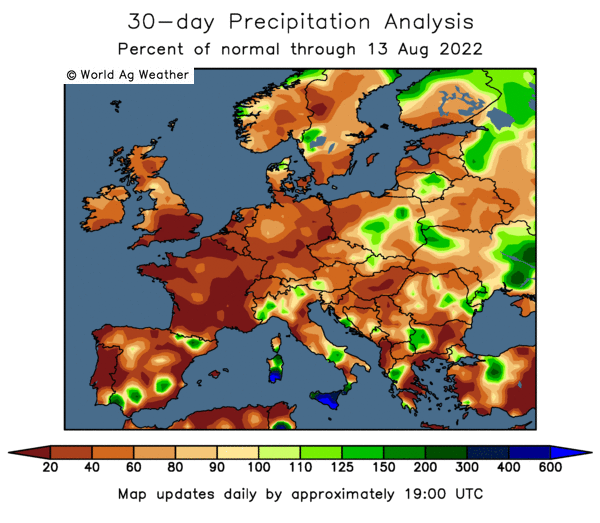 Th EU Commission's MARS unit gave us their first look at potential yields here this year, in which they fit very closely to the forecasts of other leading analysts, Coceral, Copa-Cogega etc. They are calling for these to fall around 5% in the case of both wheat and barley this year whilst corn yields will more than double to nearly 11%. Conditions are pretty good and maturity levels are strong after a pretty benign winter, they note. New crop prospects are therefore described as promising. On the international scene, we can note a tender from Israel in 65,000 MT of corn and 35,000 MT of feed wheat.